It’s snowbird season. Time for northerners to flock south. That usually means Florida (or perhaps stops in-between). There’s no shortage of residential options for these winter weary-ers. Many high-profile condominiums are coming to market which are ideal for natives or snowbirds flying south. I can’t predict weather but I can see the future—and its sleek. Recent renderings offer a glimpse of brand new or future condominiums with exceptional modern design, over-the-top amenities and oasis-style landscaping—tempting those with cold feet, deep pockets or outdoors lifestyles. Here is a sneak peek 10 of them. Projects include: Villa Lissoni, Grove at Grand Bay, 15 Hudson Yards, 3550 South Ocean, Three Hundred Collins, No.2 Opus Place, Four Seasons Hotel & Private Residences, The Residences At Prince, Privé at Island Estates, and The Cove. By 2018, Palm Beach’s shoreline will be modernized with a seven-story luxury condominium boasting 30 spacious residences with unobstructed ocean views, upscale amenities, and interiors by firms DDG and Champalimaud—who incorporate soft color palettes, chiseled limestone, white and gray travertine, local coral stone, and white oak. Also developed and built by DDG and designed by firms Kobi Karp and Garcia Stromberg, the contemporary condo will offer two- and three-bedroom residences with direct elevator access and private balconies. Ranging from 2,500 to 3,400 square feet, the units start at $2.3 million. 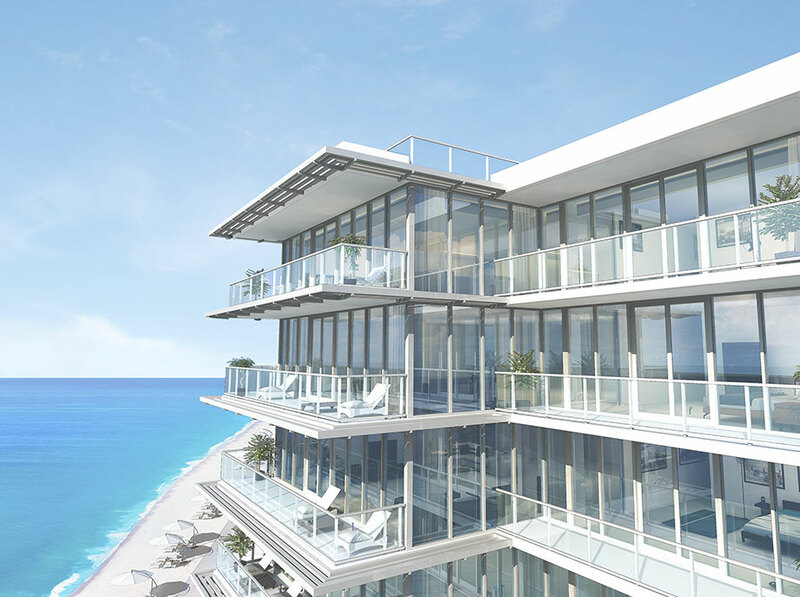 The condominium will be the first new residential building in Palm Beach in over a decade.